Some time ago, the Hindutan Times had carried a story, Bubble Trouble, on how the great Indian Soap Factory works. 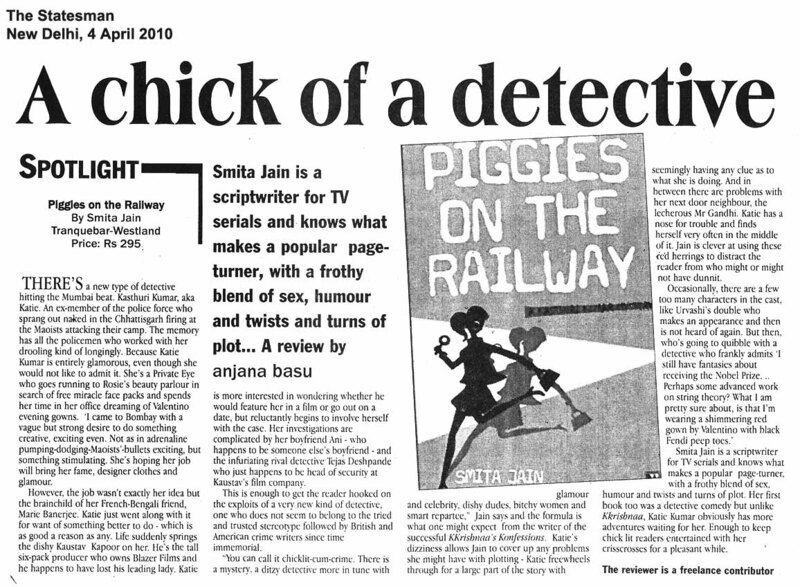 For all of you who are interetsed in writing for television, or are even remotely curious about it, do check it out. 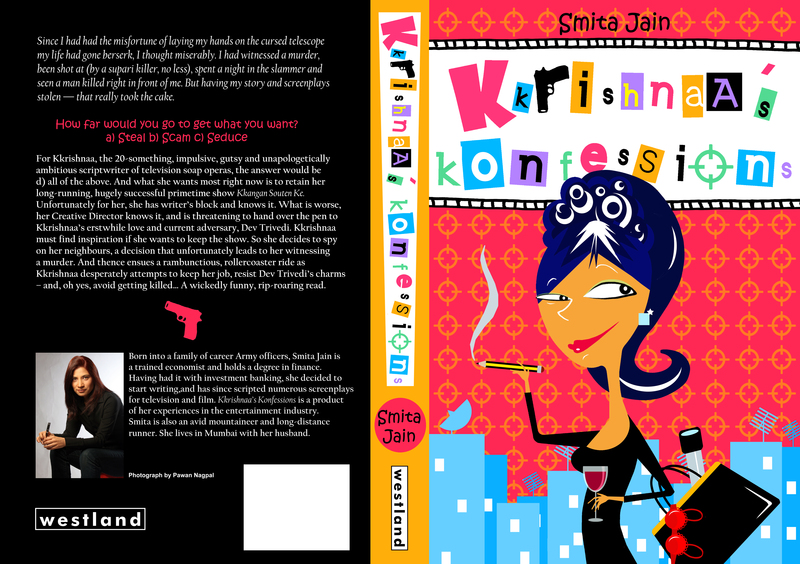 Kkrishnaa’s Konfessions is Sold Out! First the good news. 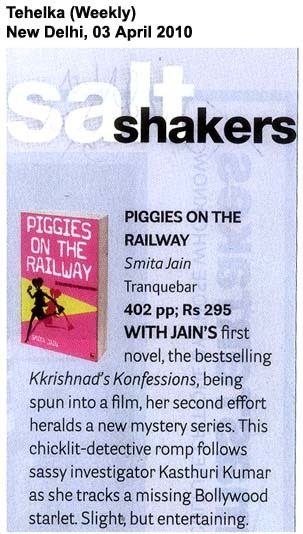 Kkrishnaa’s Konfessions is sold out. And we’re going into the second print run. In the second lot we’re tweaking the cover design a bit to accommodate the spate of *ahem* the good reviews. 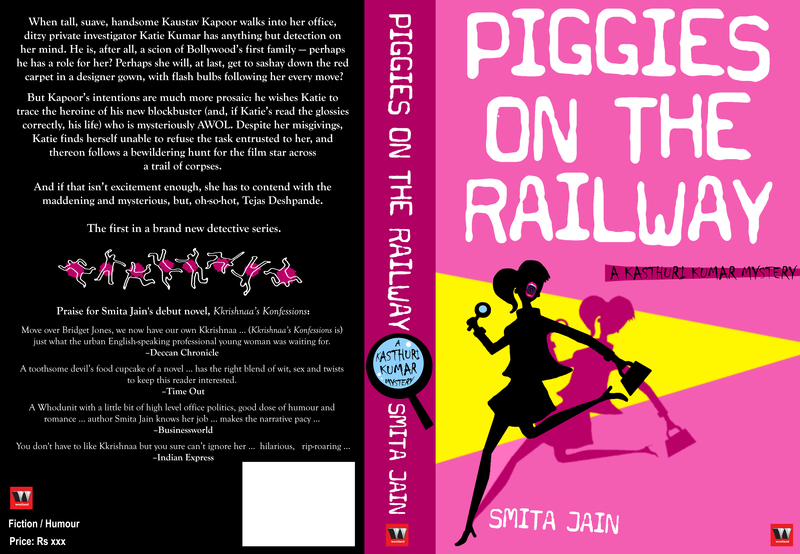 I’ve always dreamed of having stuff like Brilliant!…Jain sets the pace from the word go and doesn’t let it flag…Simply unputdownable! embellish the cover. 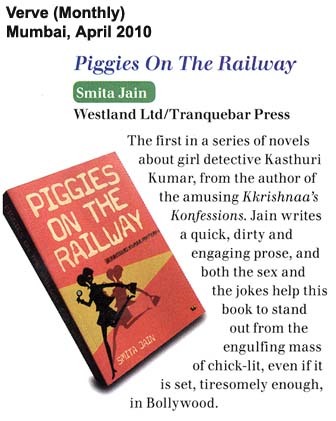 Soon you’ll see refurbished Kkrishnaa’s Konfessions adorning the shelves. And hopefully (and where I really want to see it) the pages of the Amazon catalogue. The bad news is that my photograph may have to knocked off. Ah, well. On the scripting front, I have queries for at least two more new shows. And the producers won’t take no for an answer. So I figured that with the amount of time I spend in saying no, I might as well write the damn episode. And get paid for it. You see, I can’t say no so I spend a lot of time beating around the bush bitching about various TV personalities who also happen to be good friends, TRPs, movers and shakers tec. The average talk time on each of these ‘no’ calls is about two hours. Which is about how long it takes to write the screenplay of an episode. Get it? But the only way I can do this on an ongoing basis is by hiring an assistant, which also I have managed to do. Tentatively. Which means we are on on a trial basis. My plans for becoming a one-woman screenwriting industry seem to be coming true. Eyah-ha-ha-ha! (evil laughter). Plus the second novel is a work-in-progress. So that should hit the shelves sometime end of this year. Maybe I will dominate the whole writing space. More evil laughter. As you can see there’s a lot happening. Speaking of which, there was something else I had to do. Which I can’t seem to remember. I do know there was something. Wait I remember! There are people coming home today and I forgot to order Biryani! As the subtitles on badly transcribed movies would read – Excrement! Excrement! Excrement! All aspiring screenwriters out there, interested in writing a comedy on television, I’m looking for an assistant. You must be a resident of Bombay, preferably, living within a one hour periphery of say, Seven Bungalows, Andheri west. As you all know, given the traffic, you could be in Lokhandwala and it can still be challenge to travel two kilometres in that time. So go figure. You must be willing to set your personal life aside. Birthdays, anniversaries, deaths. No exceptions. If you commit to writing an episode and then leave me hanging at the last minute, remember, I’ll do the same with your moneies. You must have a knack for storytelling. You must have a basic understanding of screenwriting. And by that I don’t mean you need to have experience. If you think you meet the requirements, please drop me a line at my email address given on the sidebar. Give your name, background and phone number. No time for a long post today as I am off to two meetings shortly. The first one is to discuss the money and the creatives (in that order) for a new detective show and the second one is to discuss the money and the creatives (again in that order). I don’t know why I’m going to these meetings. God knows I don’t have the time to take on a new show. If my creative director on my current show read this she would have an apoplexy. After killing me, of course. M, if you’re reading this, remember that I love you. More importantly, remember that you love me. Actually I do know why I’m going to these meetings. And that’s because the respective creative directors guilt-tripped me heavily. Did you know creative directors are more proficient at guilt-tripping than the ’60s celluloid mother? As if all entreaties of, “I was there for you at such and such time…you have to help me,” weren’t enough, they threw in promises of untold riches as the final clincher. Now I’ve heard all this before and asked them to talk figures, just in case a difference of opinion about what constituted riches between us. But the fish had been hooked and they prepared to reel the catch in. “Come to the meeting,” they said enticingly. Sigh! I prepare to go for my meetings.